Turn your outfit from boring to Super! 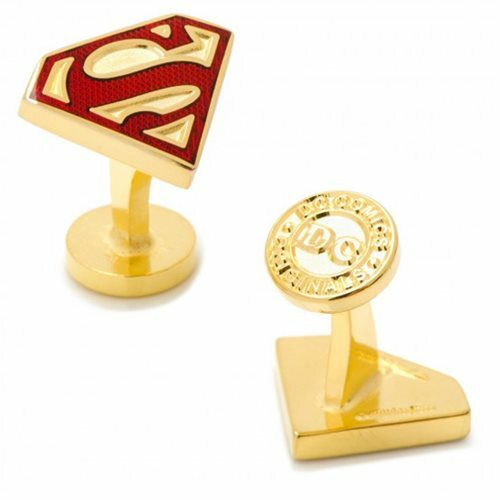 These Superman Gold Enamel Shield Cufflinks would be a stunning addition to any nice outfit. Featuring a gold base color, the Superman "S" is scarlet red. Cufflink measures 3/4-inches wide. Ages 13 and up.